Podcasts have made a triumphant return, but podcast users still struggle with one thing: the problem of discovery. With so many podcasts out there, how do you find ones you’ll actually enjoy? Of course there are many ways to discover podcasts 5 Places to Discover New Podcasts That You'll Love 5 Places to Discover New Podcasts That You'll Love Love the idea of podcasts, but have no idea where to get started? 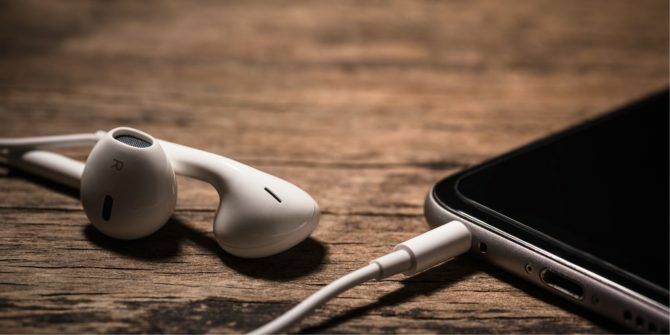 Here are five sites that can help you find the best podcasts on the planet. Read More , and modern podcast managers come with recommendation features, but now you can use a search engine that helps sift through it all and lets you discover the next best podcasts for your tastes. Type a keyword and search for people, place, topic, etc. Search for trending topics as auto-suggested by the podcast search tool. You can filter the results by episodes or podcasts. You can also reorganize the results by time or relevance. I usually like to search by episodes if I am on a topic-specific hunt. Then, I try to check out the podcast in its entirety and explore what other subjects it covers. If both turn out great, then the podcast is always worth a subscription. The podcast results page gives you a few convenient links to subscribe immediately, check it out on iTunes, download the file as an MP3, or listen to it in the browser. Listen Notes turns up old favorites, but it also helps discover many niche podcasts that get overshadowed by the biggies. The search engine taps into the metadata of each podcast, so results may be dependent on how accurately they are crafted. How do you search for podcast recommendations? Is it still frustrating? Explore more about: Podcasts, Web Search.